Register Now and Save Nearly $500 on REM 2018! Don't miss this chance to lock in our lowest-available rate. REM 2018 will explore best practices in renewable energy procurement, and emerging trends in policy, technology, and market innovation. Join innovative thought leaders from across the country and around the world to inform, collaborate, network, and stay ahead. No other conference brings you this depth of knowledge and diverse a crowd of professionals working in today's renewable energy markets. We are committed to fostering the next generation of renewable energy industry professionals. Thanks to the generous support of our Fellowship Sponsor, NextEra Energy Resources, CRS is proud to offer ten scholarships that will cover the full cost of a student registration to Renewable Energy Markets 2018. Students who are currently enrolled at an accredited college at the undergraduate or graduate level and have a demonstrated interest in renewable energy are eligible to apply for the scholarship. 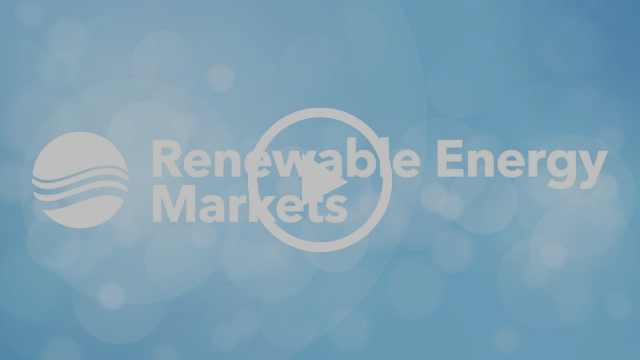 Watch our Renewable Energy Markets 2017 retrospective from New York, October 2017 (02:28). Renewable Energy Markets couldn't happen without the support of our Sponsors. Consider the unique opportunity to get your name in front of over 400 decisionmakers from around the globe by becoming a REM 2018 Sponsor. You can also contact Chip Wood at chip.wood@resource-solutions.org or 415-568-4287. 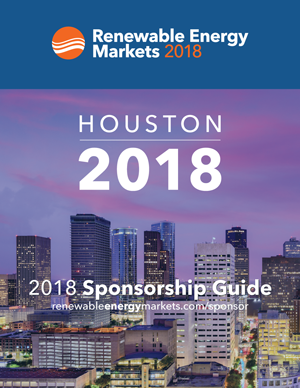 The annual Renewable Energy Markets conference convenes a broad spectrum of industry professionals who are rapidly transforming the global clean energy marketplace. Now in its 23rd year, REM remains the leading forum for promoting and accelerating the clean energy economy. REM brings corporate leaders, policymakers, and suppliers together to collaborate and guide the rapidly expanding market. Attendees explore emerging trends in policy, exchange best practices in renewable energy procurement and marketing, review the the latest technology and market innovations, and help shape the future for renewable energy. REM is organized by the nonprofit Center for Resource Solutions and co-sponsored by the U.S. Environmental Protection Agency. 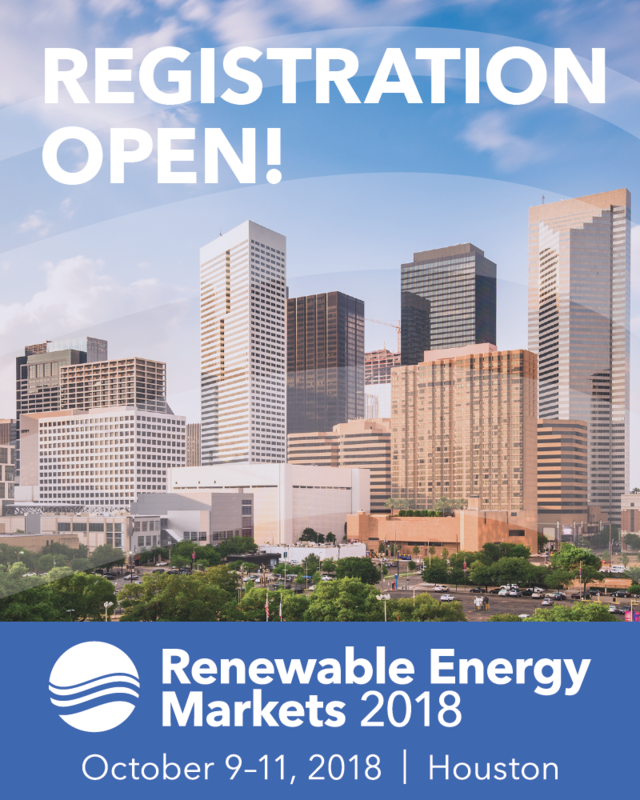 Center for Resource Solutions (CRS) is proud to be the official Conference Organizer of the annual Renewable Energy Markets conference.